Fanfare-like and linear, versatile as a concert-opener or closer. A fanfare-like concert opener commissioned by the Sonoma Valley High School music department to celebrate the school’s 125th anniversary. The school’s history has some interesting twists, from a two-person graduating class during its founding years, to makeshift classrooms in a church basement and the upstairs of a town store after the original building was destroyed in the 1906 San Francisco Earthquake. 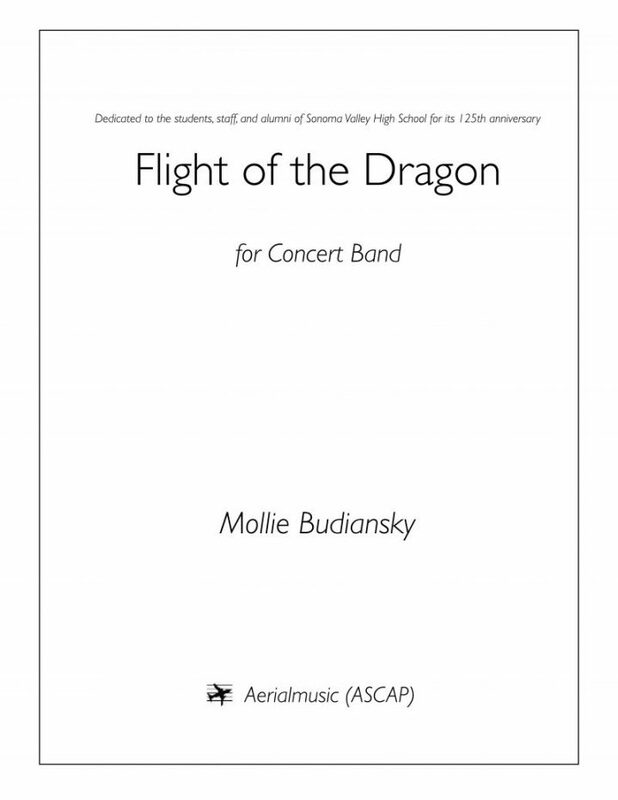 In the spirit of honoring the school in its current form, I asked SVHS band director Casey Jones and his students to help create a title, offering several suggestions related to their school mascot, the dragon. They decided upon Flight of the Dragon, which I thought fit excellently.